Meeting across sites is as natural as being in the same room now that presenters are seen up close without fumbling with technology. The Polycom EagleEye Director II camera automatically zooms in on an active speaker without the use of a remote control or camera pre-sets. 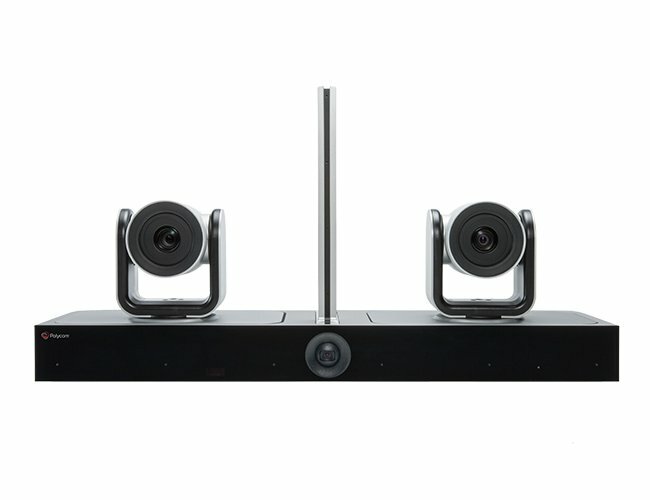 EagleEye Director II takes video conferencing to the next level so meeting participants no longer have to worry whether they’re in camera view or stop the conversation to grab the remote control. For larger meetings, two EagleEye Director II cameras can be connected via Cascading Mode to ensure every part of your meeting is in view. Now, 100% of your time in meetings is focusing on the bigger issue—solving critical business problems. By zooming in and framing active speakers, everyone will be able to see vital facial expressions and any subtle body language in crystal clarity which allows for deeper engagement and more effective meetings. Utilising the latest in speaker-tracking and facial-recognition technologies, EagleEye Director II continually scans the room and commands the cameras to frame everyone in the room appropriately. When someone in the room starts to speak, the system seamlessly transitions to an up-close view of that speaker, similar to a TV-production experience. Maintaining engagement with everyone in the room, not just the active speaker, is critical for every meeting. EagleEye Director II does this seamlessly, keeping everyone connected by highlighting the active speaker up close at the same time as providing a smaller view of the whole group in one video stream. 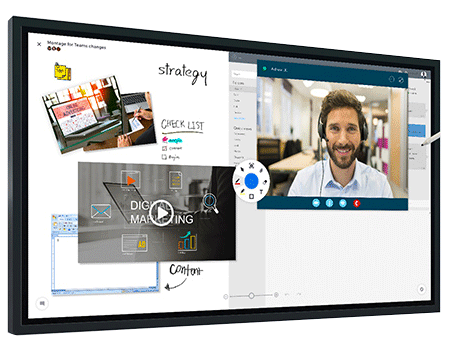 To improve engagement further, two EagleEye Director IIs can see multiple angles of any room with Cascading Mode, leading to more natural and immersive meetings. The power of EagleEye Director II extends beyond the conference room by providing powerful data analytics to measure the return on investment of video collaboration, when used in conjunction with Polycom RealPresence Group Series and Polycom RealPresence Clariti. Data reports include the number of participants at the beginning, middle, and end of each meeting, which can be used to ensure each video room investment is utilised to its fullest potential. Additionally, IT professionals can monitor room usage to ensure that automated conferences are being attended and not running in empty rooms. Huddly GO is the ultimate video camera for people who want to work and achieve results in a team. Unlike embedded laptop cameras and standard video conferencing devices, Huddly GO lets you see the big picture by fitting all your colleagues and friends in the frame due to the camera’s ultra wide field of view. Huddly GO is the world’s smallest collaboration camera and the world’s only camera that gets better with time. With no moving parts inside, Huddly GO uses its software power to adjust to your meeting space and to your collaboration style. 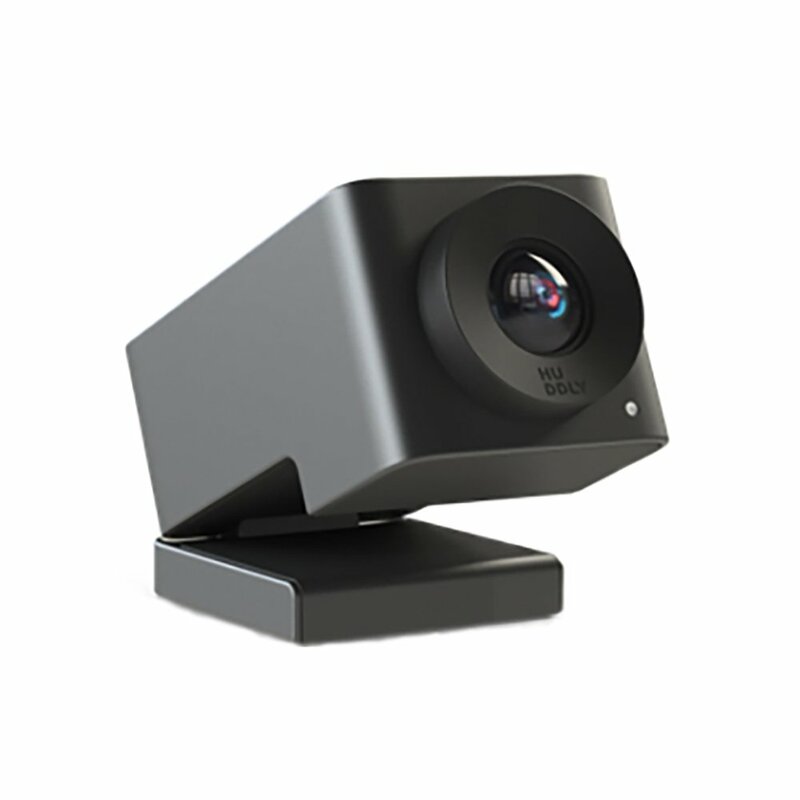 Attach it to a large screen in a huddle room, use it for a standup meeting or as a device that connects two remote offices, or simply place it on top of your laptop to turn your computer into a professional video-conferencing room. It’s easy.